The current boom of gaming content online is impossible to ignore. For starters, streaming service Twitch’s ever-growing popularity speaks for itself. With over 15 million daily active viewers consuming 90+ minutes of content daily, the audience for any given gamer is certainly out there. And then you have streaming success stories like Ninja who’s raking in $500,000 per month via Twitch subscriptions alone thanks to his rabid fan-base. This has resulted in a sort of gold-rush mentality for gamers and streamers looking to stake their claim online. And it should come as no surprise that social media for gamers is essential for doing just that. Whether you’re looking to grow your Twitch following or tap into a larger audience, we’ve highlighted the must-do social media tactics for gamers looking to fine-tune their online presence. Most gamers are probably more concerned with, well, gaming as opposed to building a brand. The reality, though? Although there’s a huge window of opportunity for gamers to grow an audience, the competition is absolutely insane. And social media is arguably the best place to set yourself apart from the crowd. That said, where do you even start? First thing’s first: you need to pick and promote the right channels to establish your social presence. Beyond the likes of Twitch, social media for gamers is primarily focused around Twitter and YouTube. Why? Consider that Twitter is a prime platform for blasting stream updates and commenting on industry news. In short, Twitter serves as the perfect place for followers to understand what you’re up to, and it doesn’t require the upkeep of Facebook or Instagram. 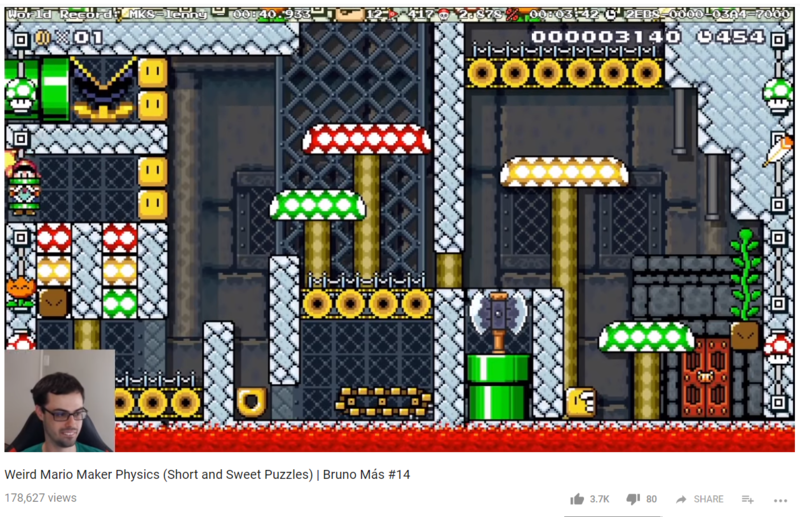 Meanwhile, just look at the sheer wealth of gaming content on YouTube. 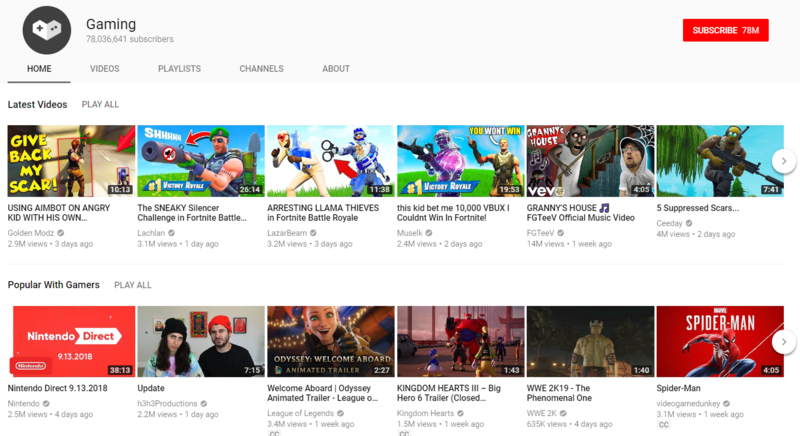 The platform’s dedicated gaming section boasts nearly 80 million subscribers as of September 2018 and represents some of YouTube’s most-viewed content. As an added bonus, if you already have a Twitch presence then you can automatically repurpose your streaming content for YouTube. This sort of double-dipping is a smart move if you’re focused on streaming but still want to build up your reputation beyond Twitch. As a brand, you need specific creatives and assets to cement yourself. Once you’ve picked a brand name and likewise have locked down your social profiles, you can start brainstorming ideas for creatives. You’ll notice that many professional and amateur gamers alike boast drawn logos much like Ninja’s below. These sort of creatives again highlight your brand much better than just a selfie. Cover photos on Twitch are yet another important branding tool for promoting your social presence. And likewise, most Twitch streamers boost their social channels via can’t-miss buttons in their channel descriptions. 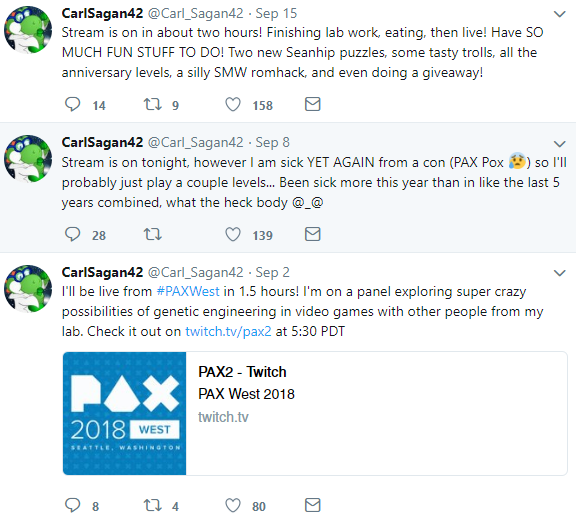 Although so much of branding as a gamer might seem laser-focused on Twitch, notice that established streamers all point back to their social media and vice-versa. That’s exactly why these creatives count so much. If you need help figuring out how to get started with these items, keep the best practices of social media graphics in mind. 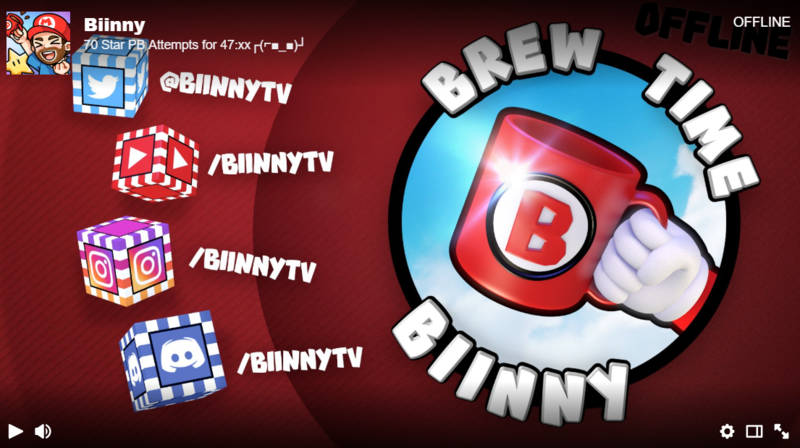 Also note that platforms like Canva actually have templates for social logos and Twitch banners alike. Spend five minutes browsing YouTube and Twitch and you’ll understand just how diverse the gaming community truly is. As such, there are tons of decisions to be made for nailing down your niche. Do you want to play brand new games or keep it retro? Want to keep your channel family-friendly or be totally out there? There is no “right” answer here. Simply understand that for the sake of growing your audience, a distinct niche will make establishing yourself much easier than being a one-size-fits-all gamer. Many streamers and gamers focus on a single game or gaming community as they begin to grow. For example, subreddits like /r/speedrun serve as a place for budding streamers and content creators to publish content and bounce ideas off of each other. Again, your audience is out there via social. It’s just a matter of creating the right sort of content for them. And hey, that leads us directly to our next point! Just like brands are expected to consistently publish content, social media for gamers is no different. For the sake of staying fresh in the minds of followers and attracting new ones, here are six types of content that just about any gamer can whip up. Tweeting to keep people in the loop about your stream and any other fresh content is low-hanging fruit. For example, you should obviously let the world know when you post a new video or go live, right? And to help you with that, Sprout actually has a free Twitch extension anyone can use to better connect your Twitch fans with your Twitter followers. As noted, gaming represents a community. Along with the best practices of social media in general, don’t be afraid to promote fellow streamers and fresh content from your favorite creators. Who knows: by tagging someone else you might actually score a shout-out yourself. Gamers are notorious for having opinions on industry happenings. Social media is the perfect place to weigh in on industry debates and back-and-forth. Ask yourself: is your voice being heard? Whether it’s events like E3 or the latest announcement from Nintendo, make sure to use appropriate hashtags to get your name out there. Likewise, make a point to follow the accounts of big name and indie game developers in your niche. An often overlooked aspect of social media for gamers is showing off the person behind the controller (or mouse). Giving followers a glimpse into your personal life is totally fair game and creates a much-needed emotional connection. Whether you share someone else’s or make them yourself, most gaming communities notoriously love memes. And hey, why not? They’re a great way get people talking and inject a sense of humor into your social feed. Sometimes taking a “show, don’t tell” approach is the best way to promote your stream. Ninja consistently highlights best-of moments from his stream to encourage more followers and any streamer should do the same. Regardless of what you’re posting, consistency counts in regard to social for gamers and content promotion. Top streamers constantly stress this advice. That is, show up day after day, engage with your community and don’t fall off the face of the Earth without warning. We really can’t stress enough how much gaming content has grown on YouTube in recent years. And yes, YouTube is a social channel with one of the most engaged communities around. As such, having an optimized YouTube presence is an expectation for any gamer looking to grow their audience. A great place to carve out your niche and promote yourself, we’ve broken down the must-haves for gamers on YouTube. In terms of what to put on YouTube, any sort of stream highlights is an obvious first choice. That said, many of the most popular YouTube gaming channels cover a much wider breadth of content. 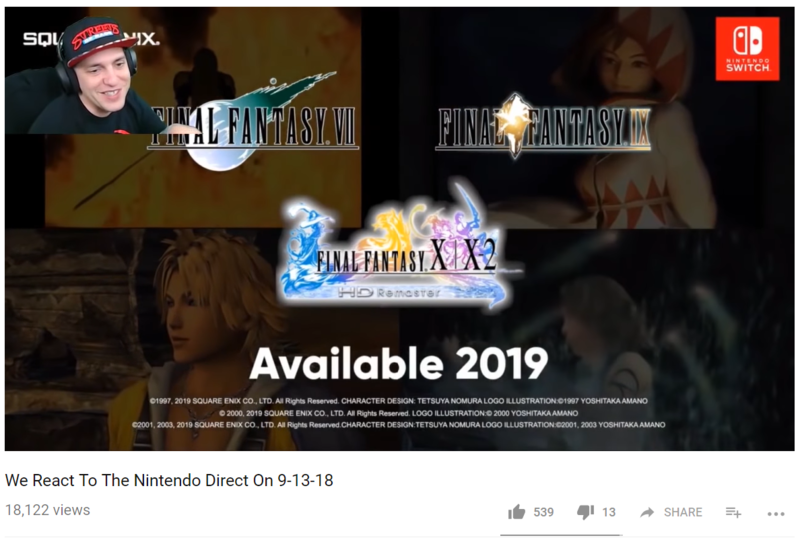 If there’s a new game that’s about to launch of big news in the gaming community, make a point to capitalize on it. Algorithms typically favor timely and topical content, which makes trend-watching an important aspect of social media for gamers. For example, everyone is currently freaking over the latest Spider-Man title for the PS4. As such, timely videos boasting relevant Spidey-related keywords are totally killing it right now in terms of views. The same rings true for reaction videos on industry announcements. Such content can be created with little more than a smartphone but serves as yet another way for you to lend your voice to the gaming community at large. Even the most minor pieces of your YouTube channel can make a big difference in terms of engagement. Speedrunner and full-time gamer Grand Poobear is a prime example. Boasting an incredibly engaged following based on his subscriber count, his YouTube channel ticks all of the boxes of optimization. For starters, his cover photo is sleek and highlights not his stream link but direct links to his social channels. Additionally, he has a diverse range of content. 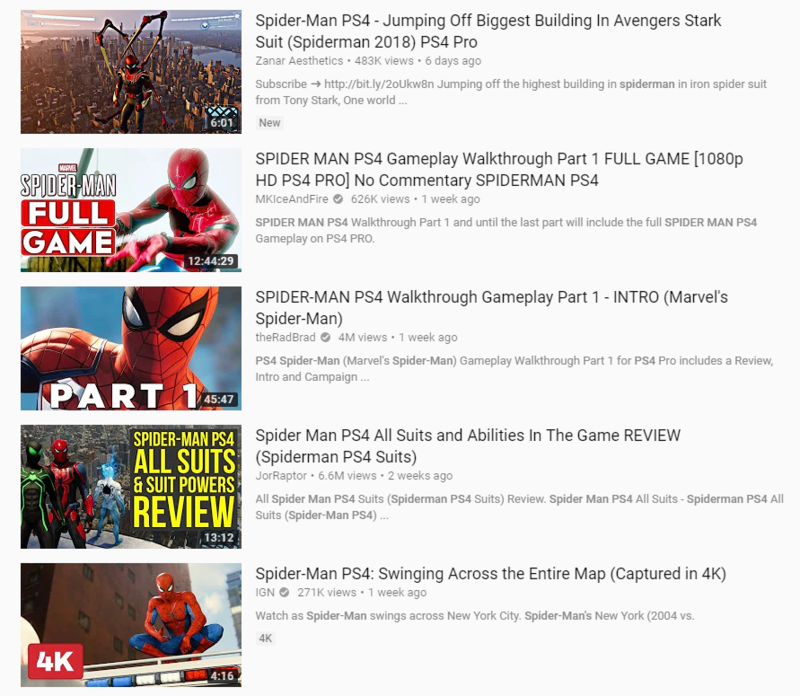 Note that each title touches on a specific title and that each video has an eye-popping, relevant thumbnail. Many of Grand Poobear’s YouTube videos are indeed taken directly from his stream highlights. That said, they’re presented as unique videos rather than just highlights which results in more engagement. Although these details might not seem like a big deal, they show that you take your social presence seriously. As an added bonus, let’s talk briefly about the best practices of marketing toward a gaming audience. Specifically, how developers can use social media to connect with gamers. Many of the same rules above apply for developers when it comes to content. Game devs are laser-focused on hyping their latest launches and events. Meanwhile, community-driven and humorous content are both staples of devs looking to show off their personalities. Social media is likewise a brilliant place to pick your fans’ brains. As most gamers are notoriously opinionated and brutally honest, there’s perhaps no better place to get unfiltered feedback. And just like social media for gamers, consistency counts. Keeping gamers in the loop about live events and launches means giving your followers a steady stream of updates day after day. 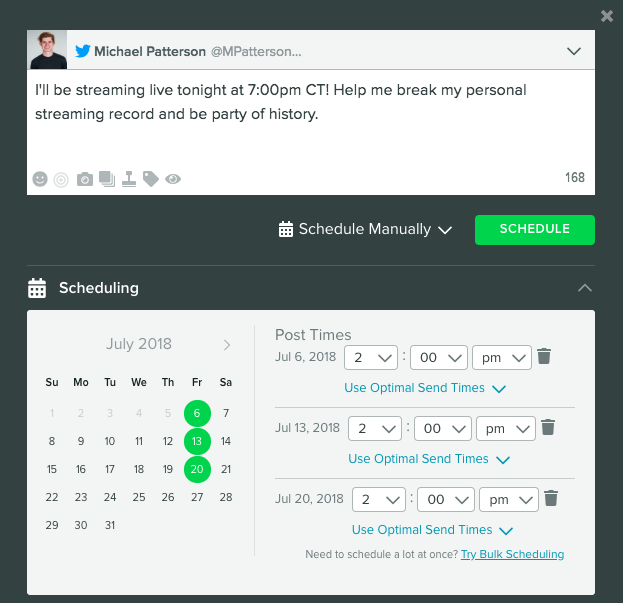 This is where tools like Sprout are invaluable, providing a platform where devs can schedule updates in advance rather than publish them on the fly. Additionally, Sprout’s social listening and sentiment analysis can help ensure that any given studio is still in the good graces of their respective communities. In a day and age where gamers can be rather fickle about their allegiances, being the proverbial “good guy” is always a plus. Publish content. Contribute and listen to your community. Have a constant pulse on the industry. With a keen attention to detail and the help of tools such as Sprout, you can roll out a gaming-centric social strategy that ticks all of these boxes and then some. Have you mastered the art of social media for gamers? Listen: growing your gaming audience requires some legwork. There’s no doubt about that. However, the right approach to social media can make all the difference. Whether it’s finding niche content to help you stand out or attracting attention from the community, social plays a huge role in getting noticed. We want to hear from you, though! What do you think the biggest challenge of social media for gamers is? Any pointers that we missed? Let us know in the comments below!